Motorcycle road trips can be a fun-filled adventure. But for motorcyclists, road tripping is not as simple as fueling up the car and heading off to your destination. Your dream trip can easily turn into a nightmare if you aren’t prepared for all the things that can go wrong on a motorcycle far from home, especially if you’re riding alone. To keep things on the right track, you’ll want to always have a few important items with you like a first-aid kit, bike survival kit, your Kawasaki motorcycle parts, rain suit, camera on top of your basic motorcycle safety gear. Without the luxury of space like in a four-wheeled vehicle, packing what you need for a trip on your bike can be even more challenging. With a good windshield, you won’t have to constantly fight the wind, helping you save your strength to keep moving comfortably down the road. Rest your back, stretch your legs and drink water to keep your reaction times sharper. Know your limits, and be proactive by stopping every 60 to 100 miles. If you know your way around a motorcycle, wrenches, sockets and other tools such as hazard light, duct tape, Swiss army knife, etc can help out in a pinch. Loose baggage on the road can be a motorcyclist’s worst nightmare. Imagine your luggage gets loose when you’re riding on a highway with speeding vehicles! Bring along bungee cords and nets to secure luggage and loose items. 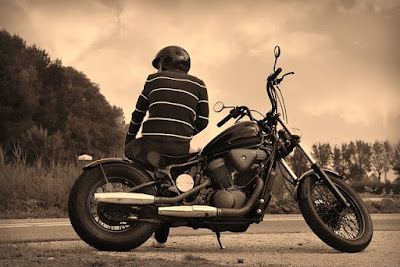 There’s a wide variety of cheap bungee cords and cheap motorcycle parts online that you can choose from at BikeBandit.com, the largest online supplier of high-quality aftermarket and OEM motorcycle parts. To make sure your motorcycle road trip turns out pleasant, don’t forget to bring your motorbike to a mechanic for an expert checkup before the trip. Happy riding!